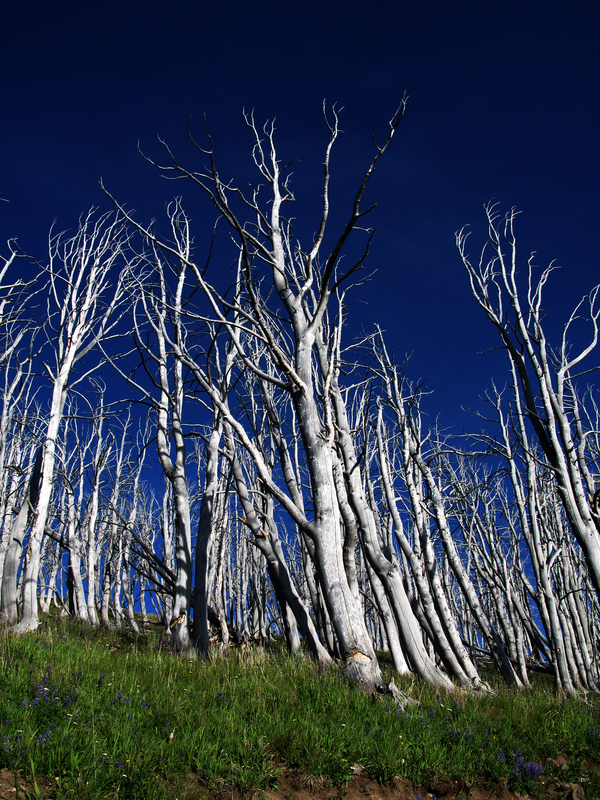 Enjoy some nice wildlife and scenic photography from Yellowstone National Park this fall. Well I’ve done it again. I blew out my other knee during closing weekend at Bridger Bowl. With a torn MCL, ACL, and meniscus my ski season is effectively over. Sorry about minimal posts but with persistent, deep instability I stuck mostly to skiing inbounds at Bridger. I did sneak out for a nice tour on Elephant Head a week before ending my season. 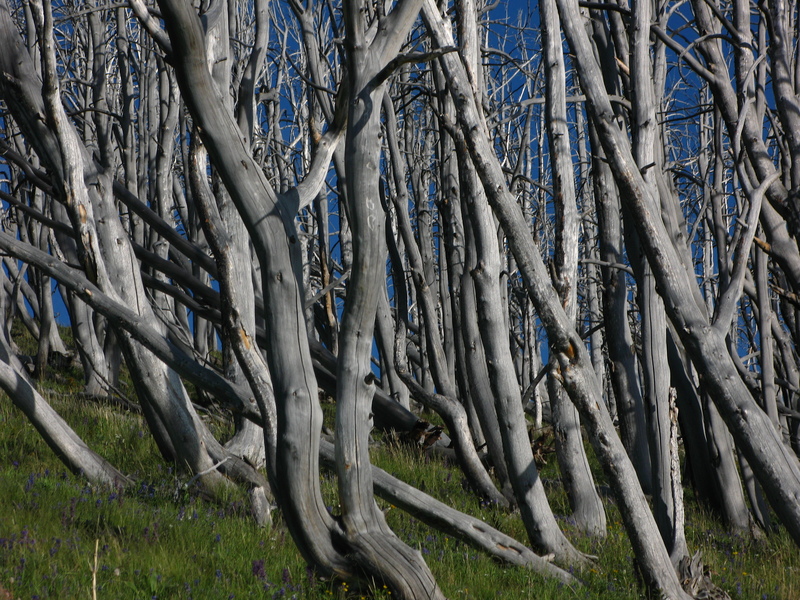 I have however, been able to hobble around Yellowstone National Park and take some photographs. Porcelain Basin in the Norris Geyser Basin. Hot Springs outlet channels can be otherworldly. Opposing colors in two hot springs. Cyanobacteria in a hot springs outlet channel. Lower Falls of the Yellowstone River. A wolf on the hunt. 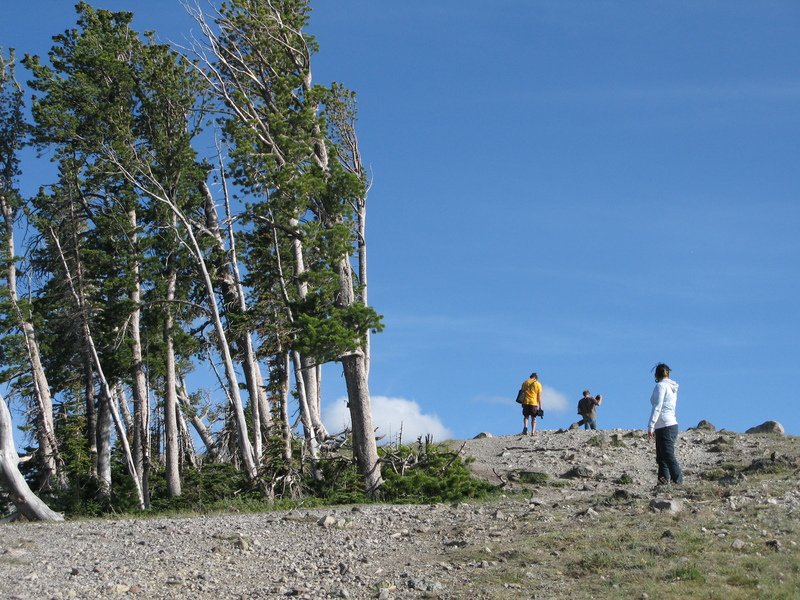 This was one of the coolest moments I have ever experienced in Yellowstone. Trout Lake with Druid Peak looming above. A coyote hoping to catch some lunch? Grizzly bears in the distance. Sorry about not posting in ages, I’ve moved and don’t have internet access at home yet so I haven’t been able to really post anything. However, I am sitting at the Manchester, NH airport waiting for a flight after a week vacation on the Ice Coast (sorry no pics, can’t find my camera). 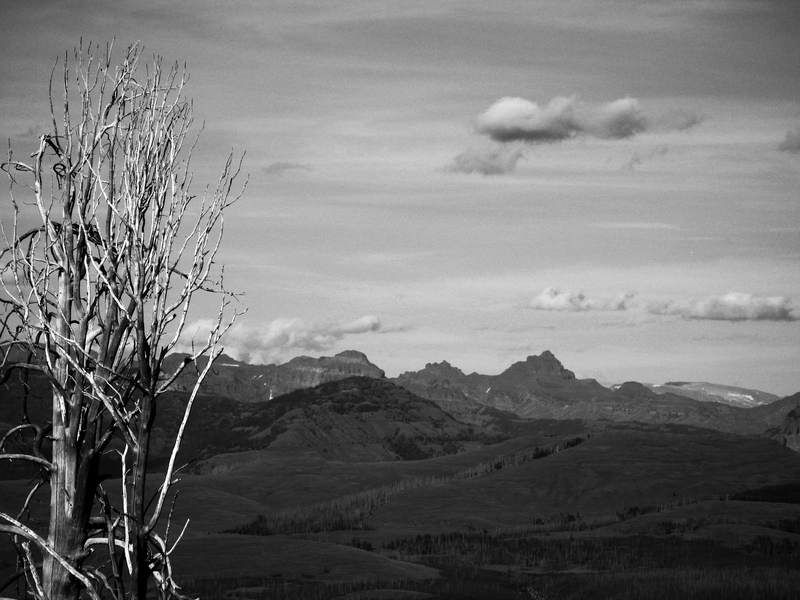 I’ve been down to Yellowstone a couple times this summer, a fringe benefit of living within an hour. Having been to most of the touristy spots and seen most of the thermal features I now go down there to hike and check out wildlife. As expected the scenery is beautiful and you still have fun getting road rage at tourists slamming on the brakes for a bison or elk. 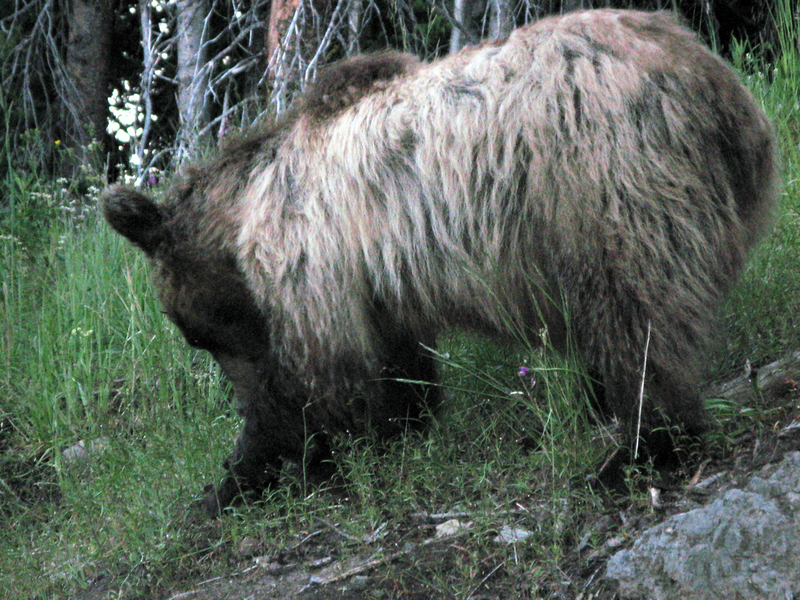 Miniture grizzly bear, this guy was about the size of a black bear and chilling next to the road. Definitely the smallest griz I've ever seen. Hiking Mt. Washburn with Sarah, Steve and Rob. 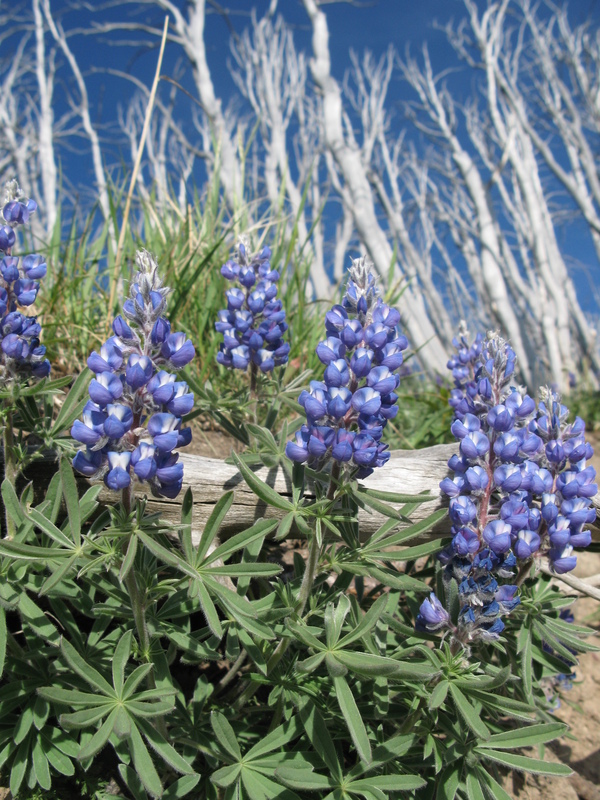 The Mountain Lupines were blooming quite nicely while we were up there. 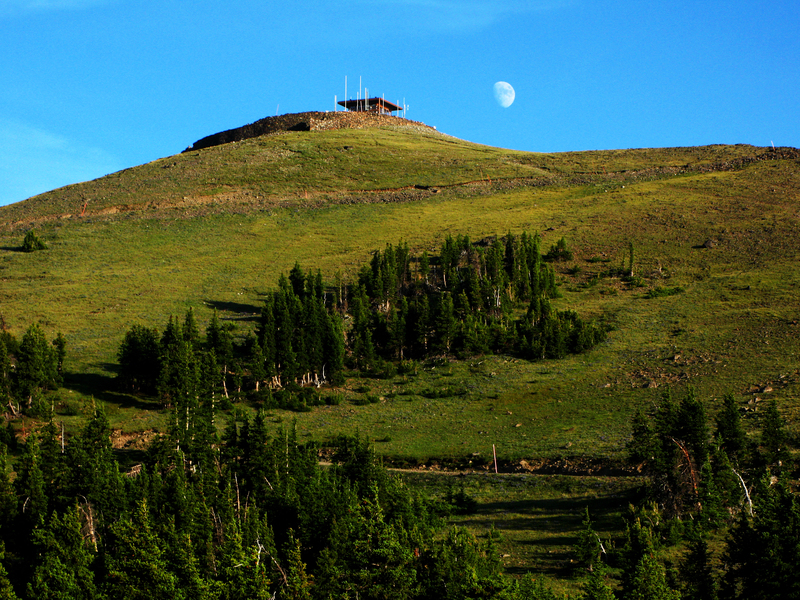 Moonrise on Mt. Washburn. 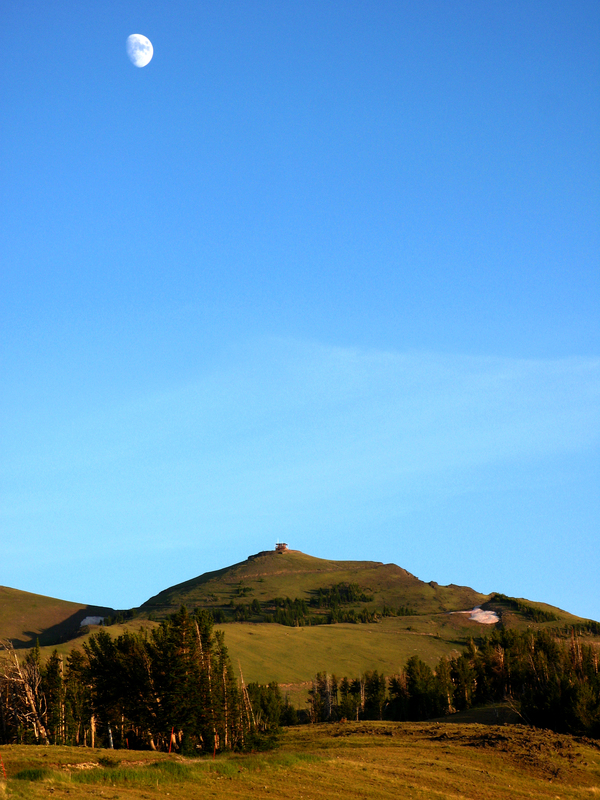 You can see the fire lookout on the summit. 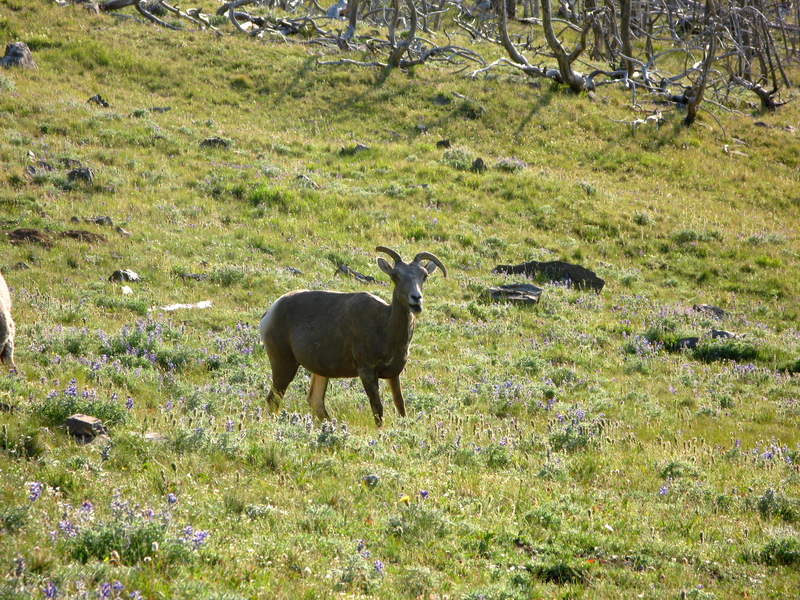 One of only two in the park that are still staffed. 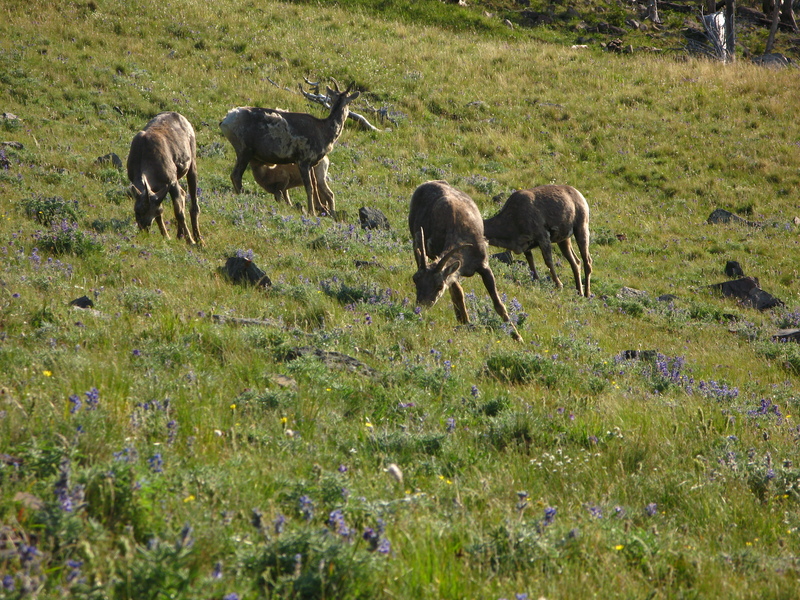 We encountered a herd of big horn sheep ewes on the way up. This ewe had a crooked horn, poor guy. Mt. Washburn. The trailhead says it takes about 4 hours one way to hike, it took us only 2 hours car to car plus some chilling time up top. I think the 4 hours is a bit of an exaggeration unless you only have one leg or something. 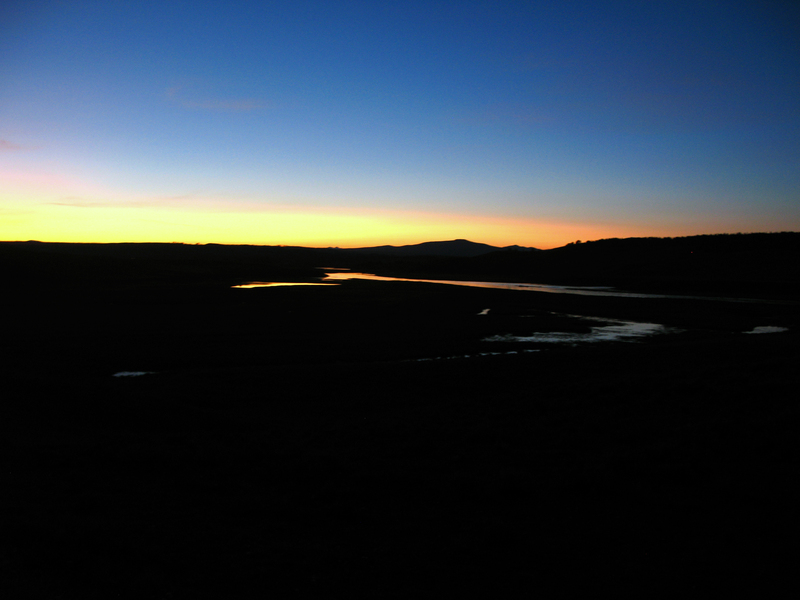 Sunset over Hayden Valley. One of the best places to scope animals.